Are you confident that services in your clinic are being delivered consistently? How confident are you that quality patient care is being delivered behind closed doors? How do you define and implement standards of excellent patient care? What is the most effective way to measure and utilize the data gathered from patient care response forms? We have found Linear Shared Decision Making to be the optimal service platform for people who work with patients needing to make healthcare decisions based on values, knowledge, and support. 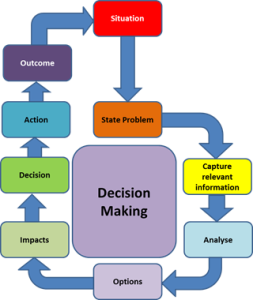 Linear Shared Decision Making provides a service platform that clearly puts the patient in a place of “decision ownership.” Owning the decision strengthens the patient to stand for what she believes in, to stand for her choice as it relates both to pregnancy and her reproductive health. When a patient is empowered to step back and consider her decision through a thoughtful process, we increase decision satisfaction for the patient, we see ownership of the decision, and we see personal action taken to address concerns. This three-day course is for the PMC that wants to serve their community in a way that truly positions it as a change agent. This course provides a pathway for all services desired by the PMC to be offered to the patient over a period of time. Offering follow up visits related to the patient’s adjustment to her new normal go a long way to help an individual who is empowered, educated, and equipped to follow through on her chosen path. 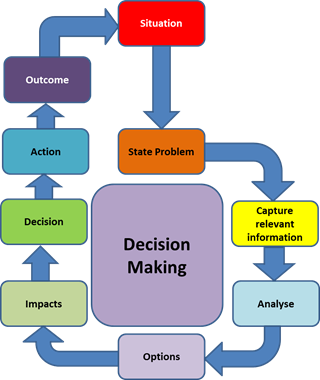 In addition to training the Linear process, we add the use of a Decision Guide (based on the Ottawa Decision Guide) to address the decision making needs of the patient. By combining these two concepts, Sparrow Leadership has found what we believe is the best service platform for the contemporary patient. With this approach to the medical service platform, we have seen patient numbers increase, patient flow become more efficient, and improved patient care, which reduces risk and improves outcomes.